At Classic Garden Structures we’re committed to providing our dealers and customers with the highest quality, fully-customized, beautiful and functional garden sheds available today. To meet our highly-respected work ethic and quality standards, we use the latest building materials and high-tech equipment. This helps keep quality high and allows almost infinite customization. Each Classic Garden Structure shed is delivered as complete as possible, in ready-to-finish form, to our dealers and customers. This makes for quick delivery no matter where you might be located. In the case of our larger sheds like the Manor and the Elite, your nearest dealer will assemble your Classic Garden Structures shed onsite. This allows for large, complex sheds to be delivered inexpensively. 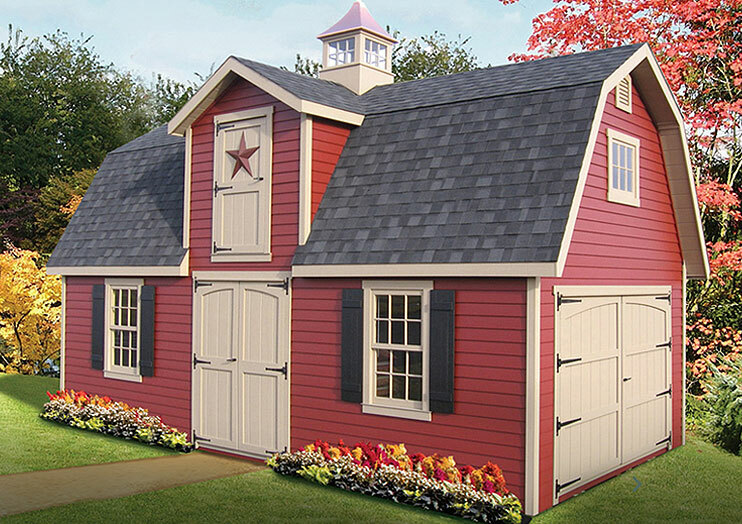 With hundreds of different options for doors, siding, trim and much more, there are almost limitless possibilities for your Classic Garden Structures shed. Our sheds can truly suit any style or design aesthetic.